Cymbalta (duloxetine) is used to treat depression and generalized anxiety disorder (GAD; excessive worry and tension that disrupts daily life and lasts for 6 months or longer). Cymbalta (duloxetine) is also used to treat pain and tingling caused by diabetic neuropathy (damage to nerves that can develop in people who have diabetes) and fibromyalgia (a long-lasting condition that may cause pain, muscle stiffness and tenderness, tiredness, and difficulty falling asleep or staying asleep). Cymbalta (duloxetine) is also used to treat ongoing bone or muscle pain such as lower back pain or osteoarthritis (joint pain or stiffness that may worsen over time). Cymbalta (duloxetine) is in a class of medications called selective serotonin and norepinephrine reuptake inhibitors (SNRIs). It works by increasing the amounts of serotonin and norepinephrine, natural substances in the brain that help maintain mental balance and stop the movement of pain signals in the brain. Cymbalta (duloxetine) comes as a delayed-release (long-acting) capsule to take by mouth. When Cymbalta (duloxetine) is used to treat depression, it is usually taken once or twice a day with or without food. When Cymbalta (duloxetine) is used to treat generalized anxiety disorder, the pain of diabetic neuropathy, fibromyalgia, or ongoing bone or muscle pain, it is usually taken once a day with or without food. 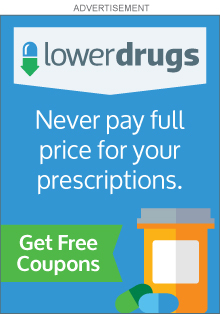 Take Cymbalta (duloxetine) at around the same time(s) every day. Follow the directions on your prescription label carefully, and ask your doctor or pharmacist to explain any part you do not understand. Take Cymbalta (duloxetine) exactly as directed. Do not take more or less of it, take it more often, or take it for a longer time than prescribed by your doctor. Swallow the capsules whole; do not split, chew, or crush them. Do not open the capsules and mix the contents with liquids or sprinkle the contents on food. Cymbalta (duloxetine) may help control your symptoms but will not cure your condition. It may take 1 to 4 weeks or longer before you feel the full benefit of Cymbalta (duloxetine). Continue to take Cymbalta (duloxetine) even if you feel well. Do not stop taking Cymbalta (duloxetine) without talking to your doctor. Your doctor will probably decrease your dose gradually. If you suddenly stop taking Cymbalta (duloxetine), you may experience withdrawal symptoms such as nausea; vomiting; diarrhea; anxiety; dizziness; tiredness; headache; pain, burning, numbness, or tingling in the hands or feet; irritability; difficulty falling asleep or staying asleep; sweating; and nightmares. Tell your doctor if you experience any of these symptoms when your dose of Cymbalta (duloxetine) is decreased. Cymbalta (duloxetine) is also sometimes used to treat stress urinary incontinence (leakage of urine during physical activity such as coughing, sneezing, laughing, and exercise) in women. Talk to your doctor about using this medication to treat your condition. tell your doctor and pharmacist if you are allergic to Cymbalta (duloxetine), any other medications, or any of the ingredients in Cymbalta (duloxetine) capsules. Ask your doctor or pharmacist for a list of the ingredients. tell your doctor if you are taking thioridazine or a monoamine oxidase (MAO) inhibitor, such as isocarboxazid (Marplan), phenelzine (Nardil), selegiline (Eldepryl, Emsam, Zelapar), and tranylcypromine (Parnate), or if you have stopped taking an MAO inhibitor within the past 14 days. Your doctor will probably tell you not to take Cymbalta (duloxetine). If you stop taking Cymbalta (duloxetine), you should wait at least 5 days before you start to take an MAO inhibitor. tell your doctor and pharmacist what other prescription and nonprescription medications and vitamins you are taking or plan to take. Be sure to mention any of the following: anticoagulants ('blood thinners') such as warfarin (Coumadin); antidepressants such as amitriptyline (Elavil), amoxapine (Asendin), clomipramine (Anafranil), desipramine (Norpramin), doxepin (Adapin, Sinequan), imipramine (Tofranil), nortriptyline (Aventyl, Pamelor), protriptyline (Vivactil), and trimipramine (Surmontil); antihistamines; aspirin and other nonsteroidal anti-inflammatory drugs (NSAIDs) such as ibuprofen (Advil, Motrin) and naproxen (Aleve, Naprosyn); cimetidine (Tagamet); diuretics ('water pills'); linezolid (Zyvox); medications for irregular heartbeat such as amiodarone (Cordarone), flecainide (Tambocor), moricizine (Ethmozine), propafenone (Rythmol), and quinidine (Quinidex); medications for anxiety, high blood pressure, mental illness, pain, and nausea; propranolol (Inderal); medications for migraine headaches such as almotriptan (Axert), eletriptan (Relpax), frovatriptan (Frova), naratriptan (Amerge), rizatriptan (Maxalt), sumatriptan (Imitrex), and zolmitriptan (Zomig); lithium (Eskalith, Lithobid); proton pump inhibitors such as lansoprazole (Prevacid), omeprazole (Prilosec), pantoprazole (Protonix), and rabeprazole (Aciphex); quinolone antibiotics such as ciprofloxacin (Cipro) and enoxacin (Penetrex); sedatives; certain selective serotonin reuptake inhibitors (SSRIs) such as fluoxetine (Prozac, Sarafem), fluvoxamine (Luvox) and paroxetine (Paxil); sibutramine (Meridia); sleeping pills; theophylline (Theochron, Theolair); tramadol (Ultram); and tranquilizers. Many other medications may interact with Cymbalta (duloxetine), so be sure to tell your doctor about all the medications you are taking, even those that do not appear on this list. Your doctor may need to change the doses of your medications or monitor you carefully for side effects. tell your doctor if you have or have ever had glaucoma (an eye condition). Your doctor may tell you that you should not take Cymbalta (duloxetine). tell your doctor if you drink or have ever drunk large amounts of alcohol or if you use or have ever used street drugs or have ever overused prescription medications. Also tell your doctor if you have or have ever had a heart attack; high blood pressure; seizures; coronary artery disease (blockage or narrowing of the blood vessels that lead to the heart); or heart, liver, or kidney disease. If you have diabetes, be sure to talk to your doctor about how serious your condition is so your doctor can decide if Cymbalta (duloxetine) is right for you. tell your doctor if you are pregnant, plan to become pregnant, or are breast-feeding. If you become pregnant while taking Cymbalta (duloxetine), call your doctor. if you are having surgery, including dental surgery, tell the doctor or dentist that you are taking Cymbalta (duloxetine). you should know that Cymbalta (duloxetine) may make you drowsy, dizzy, or may affect your judgment, thinking or coordination. Do not drive a car or operate machinery until you know how this medication affects you. ask your doctor about the safe use of alcoholic beverages while you are taking Cymbalta (duloxetine). Alcohol can increase the risk of serious side effects from Cymbalta (duloxetine). you should know that Cymbalta (duloxetine) may cause dizziness, lightheadedness, and fainting when you get up too quickly from a lying position. This is more common when you first start taking Cymbalta (duloxetine) or with an increase in dose. To avoid this problem, get out of bed slowly, resting your feet on the floor for a few minutes before standing up. Cymbalta (duloxetine) may cause other side effects. Call your doctor if you have any unusual problems while taking this medication.